Dubbed as the “Father of Semiconductors,” Filipino-American Diosdado “Dado” Banatao is one of the pioneers in Silicon Valley, California—the birth place of tech giants we know today. The engineer invented the first chip set installed in personal computers in 1984, which is still present in 30% of computers today. Hailing from Cagayan Valley, Banatao, whose father was a farmer and whose mother was a house helper, had a humble beginning. He even had to walk for miles just to get to school when he was younger. With much of the Philippine economy based on consumption, Banatao believes that if engineers and scientists in the country are given the chance to build world-class technologies, it can translate to decent jobs, and eventually eradicate poverty. Fueled by this advocacy, the engineer has been championing education through his philanthropic efforts and has been giving back to the country he grew up in, even when he has earned his stripes abroad. The PhilDev founder has invested much of his time and money ($1.5 million as of September 2015, as reported by Forbes Asia) just to send children to school, from primary to tertiary level, not to mention the research facilities he founded to enable collaborations between universities in the Philippines and the US. Banatao has also been vigorous in developing curriculum for engineering colleges and has been sending engineers to earn their masters and doctorate degrees abroad. “My family—we had no means. The combination of where I came from and knowing what I had done, has convinced me eradicating poverty can be done. We just need to discover those bright minds out there who would not excel if they were left alone,” Banatao shared in the February 2016 issue of Forbes Philippines. 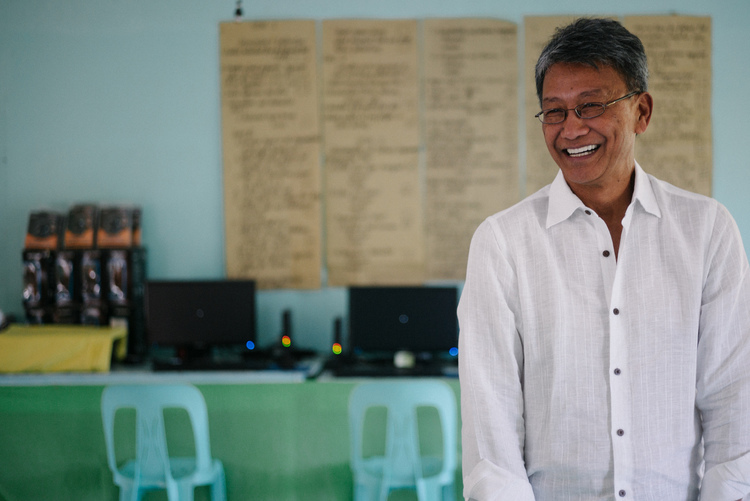 So far, Banatao has established and funded four scholarship programs, encompassing tertiary-level scholarships, research, fellowships, and teacher training. But the technopreneur cannot do it alone, and has sought help from the government numerous times. Banatao had discussed his initiatives to the past four administrations, and had talks with two presidential candidates in the upcoming elections, to promote science and technology in the country. “Many people doubt, many think we’re crazy. They think we can never eradicate poverty. (Republic of) Korea did it in 17 years. If someone doubts, I can explain why. I did my homework,” Banatao said. One of the glaring observations Banatao had a hard time to swallow was the lack of entrepreneurial spirit and “culture of innovation” in the country. But it is not stopping him from still pursuing his dream of a poverty-ridden Philippines. “If we don’t push for reforms in education, or provide scholarships, we will just propagate mediocrity. I know it’s insulting, but the evidence is there,” Banatao said. Some of the technopreneurs Banatao has mentored are SALt (Sustainable Alternative Lighting) founders, Aisa and Joseph Mijeno. The PhilDev chairman met Aisa in a symposium back in 2014, and the two have kept in touch ever since. “If you’re not called a disruptor, either you did something irrelevant in the worst case or you did not make a difference at all,” Banatao said.